Evidence-based and data-driven are the new buzzwords for decision making in business, government and social-service organizations. Who could disagree? What else would responsible leaders use to make their decisions? Gut feel and intuition are definitely out of fashion. The volume, velocity and variety of data available to organizations are unprecedented. Computing power and storage capacity make it possible to analyze data like never before. And the continued automation and tracking of almost everything – from seeing who is at the front door and monitoring a household’s electricity usage, to following our digital and mobile breadcrumbs – mean that the volume of data will continue to grow exponentially. So when the questionable practices of Cambridge Analytica came to light recently, there was an immediate reaction sparking widespread discussion about the collection and use of data. Some see having access to vast amounts of data as an opportunity, while others feel it leaves them exposed. Consumers are nervous, but so are businesses – or at least they should be. Having access to consumer data raises the stakes for organizations that have to carefully consider what they can and should do with information they collect. 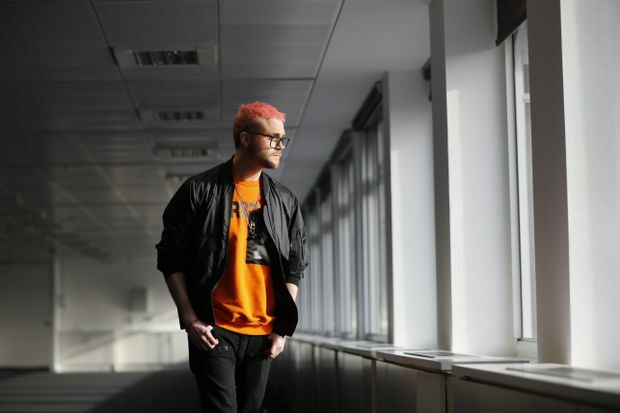 Canadian data analytics expert and whistle-blower, Christopher Wylie. For companies such as ours that specialize in providing data and analytics, addressing issues of privacy, consumer protection and transparency, along with ensuring delivery of expert methodology, appropriate technology and useful storytelling, are always top of mind. Environics Analytics is the leading provider of data on demographics, lifestyle, mindset, behaviour and media preferences of Canadians to businesses, governments and not-for-profits. Integrating data from hundreds of authoritative sources, our geek team (which includes more than 100 qualified modellers and statisticians) annually creates privacy-compliant databases, which collectively contain approximately 40,000 variables for one million postal codes. These data are used by more than 2,000 organizations, who combine them with data they collect, to answer their key business questions. What should not be forgotten in this discussion is how data-driven decision making, when done legally, ethically and responsibly, makes the lives of Canadians better. We’ve helped municipalities develop more efficient delivery of emergency services such as fire, ambulance and policing. We also provide critical information that planners at all levels of government need to fund social services, streamline health care, conserve energy, deliver education and more. Good analytics benefit consumers as well. All of us are busy. We want to receive messages and offers about things that are of interest to us, that make our days simpler, more efficient and help us find products and services easily – while filtering out those that do not. We don’t want to receive targeted ads for the next month in our web searches for a product we bought yesterday. And we want our local merchants to stock products that are tailored to our lifestyle. When businesses and organizations do good analytics, everyone benefits. So what are “good” data and analytics practices? 1. Personal data must only be used for the purposes to which the provider consented. 2. Personal data must not be shared with a third party under any circumstances, unless there was explicit consent to the sharing. 3. The consent to opt in or opt out as appropriate under the law must be easy to understand and accessible to the provider. 4. Survey responders have a right to expect their individual responses to be confidential. 5. Sharing personal data for “academic research” should be governed by licensing agreements and subject to the standards that apply for any other purpose. Do the known facts in the Facebook and Cambridge Analytica story suggest that these principles were adhered to? Obviously not. It’s no surprise that investors, employees and users are upset. We are fortunate that Canada has some of the strictest privacy laws in the world, but organizations like ours can and should do more to earn business and consumer trust. For instance, data should be modelled down based on accepted statistical processes, not aggregated from personal data. Businesses shouldn’t keep, compile or use e-mail addresses for any data development or client work. And it almost goes without saying, but in this day and age, personal information should be kept in secured data centres. We are committed to all of these practices, but this is just the beginning. We believe organizations like ours must be transparent and willing to submit to regular external audits to back up that commitment. We are connected with industry associations and international bodies who are committed to an ethical code of conduct and share best practices. And while regulations governing data privacy change by jurisdiction, we believe it’s important to apply the same practices, reflecting the strictest regulations globally, across all of our business offerings, regardless of where they are. Does the news about the Facebook and Cambridge Analytica breach hurt the analytics industry? We say no. It highlights the differences between firms collecting or providing data and analytics in a responsible way and those who are not obeying the laws or employing best practices. Data and analytics are the fuel of good service provision and a competitive economy. Citizens and consumers have a right to expect organizations will ensure their data will be kept private and used responsibly to their benefit and for the intended purpose. Despite the unfortunate situation leading to it, this is a public discussion that is welcome – in fact, overdue.